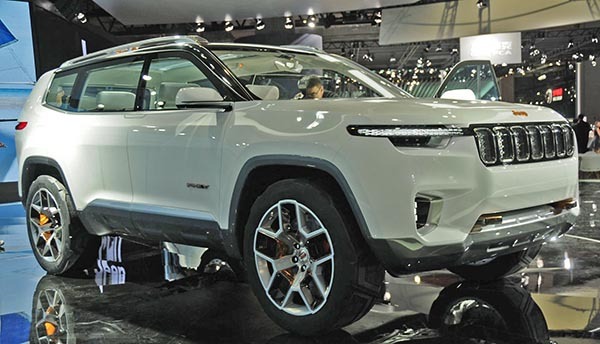 This looks a lot like the Jeep Yuntu Concept shown at a Chinese Auto show a few months ago. It is supposed to be a 3 row SUV. And only for the Chinese market. Of course. They always say that at first. I bet everyone is waiting to see how well the Chinese built 2019 Ford Focus will be received in the US. If it works out, Jeep (and all others) will start selling Chinese made cars here in larger numbers. And I bet the Yuntu (Or whatever they will call it over here) will be coming over pronto. US market for a 3 row Jeep SUV should be pretty large right now. As a reminder, here is the Yuntu Concept. The long front overhang of the obvious FWD-platform make it look like crap. 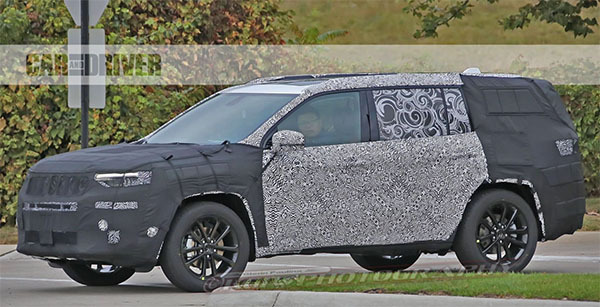 That might be a Wagonner under the wraps.